Believe It or Not, Look Who’s Back (and feeling magical)! We lead such fragmentary lives, occupying a multiplicity of physical and virtual spaces at any one time. We touch down here, flit there, ever attempting simultaneity. Yesterday, I sat down to my sewing machine and really focused on the motions of threading my machine, paying attention to the tiny eye of the needle, the bobbin spinning, the thread through my finger tips; it was so refreshing to be present, performing such a simple, physical task without any thought to the work I would do later, the emails I needed to return, the photographs I needed to take and edit for this post! I was in what Mihalyi Csikszentmihalyi theorized as “flow”–an optimal state of concentrated energy whereby you are intrinsically motivated by the process of the activity with no competing thoughts about outside events or the end product. Artistic endeavors can provide this experience, but if we are so focused on the end result or the audience or the applause, then we are apt to lose our footing– flow gives way to something frantic, fractured and frustrating. It’s really hard to be present, to achieve flow, even in the activities or with the people we most enjoy. And so, given the pressures of my career and the necessities of my physical being, as well as the desire to focus more on my sewing skills, I needed to step away from blogging, and all that goes into the development of a post, for the last two months, so I could make time and space for other experiences. The reality is you can’t do it all and you can’t have it all, no matter what the ad-men try to tell you. And that’s okay. Slowing down, focusing, being present, working on one aspect of your life or yourself or a project, to the exclusion of other parts is more than okay; it’s vital. Especially in creative endeavors. It’s good to just be an observer of words or images, letting it all sink in for a bit as you stay silent and still. 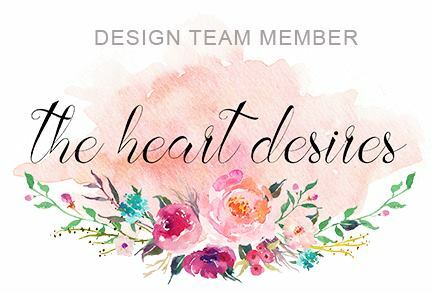 I am sure many of you are familiar with the fabulous Ellen Hutson, LLC, one of the best online spots for papercrafting supplies. When I need something quickly and can’t make it to a store, Ellen’s my woman because she’s practically in my backyard and the shipping is lightning fast! Plus she has a great new line of products designed by Julie Ebersole, another Washingtonian. Lots of good papercrafting energy in the PNW! So she’s developed two new challenges, which you can read about here and here. I absolutely loved the holiday release of sentiment stamps and dies from Julie, and the winter release was fabulous as well. 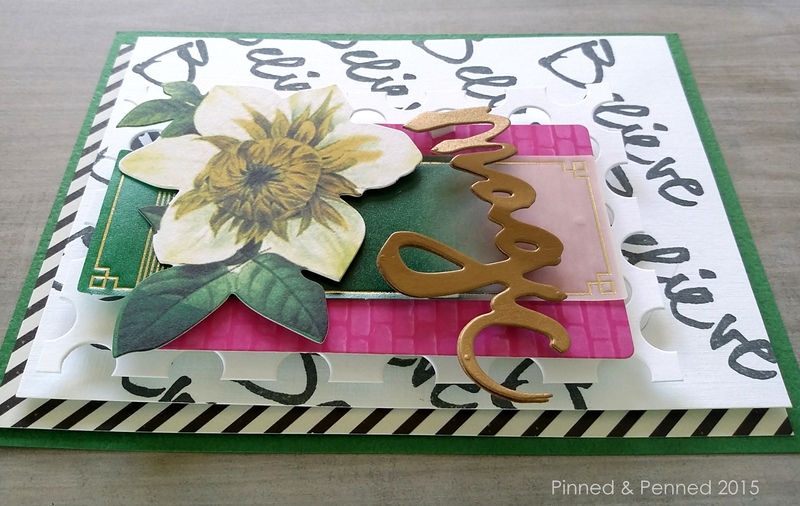 The Pin-Sights challenge asks you to use the products and the mood board to create a paper project. The current inspiration board had me swooning so I knew I just had to play along! Magical, right? I’ve been known to believe in magic every so often, especially when it comes to inspiration and art! I tried to weave in a variety of the elements from the mood board, most obviously the colors and the brushstroke font. I’d been wanting to create one of these sentiment backgrounds for awhile so this challenge gave me the push to finally do so using Julie’s Brushstroke Christmas set . Since the color scheme mentions charcoal, I used Versacolor Ultimate Pigment ink in Charcoal rather than black and stamped on Ellen’s 110lb Linen cardstock, my favorite paper! I echoed the dots from the photograph with the MFT Polka Dot Coverup die background, which I cut down to create a more interesting layer. 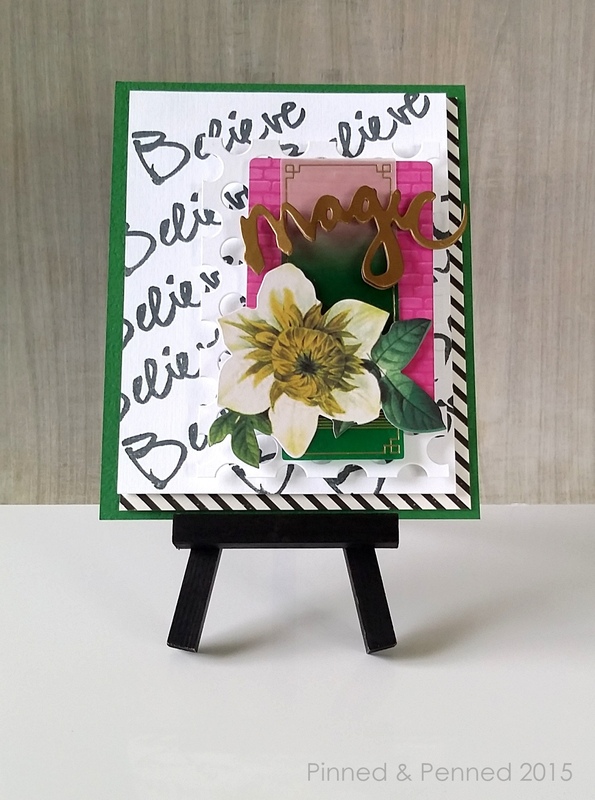 The challenge is open to any kind of paper project, not just cards, and in creating this, I was not sure if it would be a card–I actually think it would make a great framed piece or album cover for a mini-album, so I intentionally did not adhere it to a card base. The Magic die from Studio Calico was doubly cut from Paper Source’s Bronze paper and adhered so it would pop up a bit for more curved dimension. The hot pink brick wall journaling card is a digital file from Studio Calico’s Lisse Street collection. I love my new HP printer which is allowing me to actually print quality photographs and digital images for the first time in years, so I can add a new element to my paper crafting beyond stamping. Open Book from Crate Paper provided the flower and vellum embellishments. 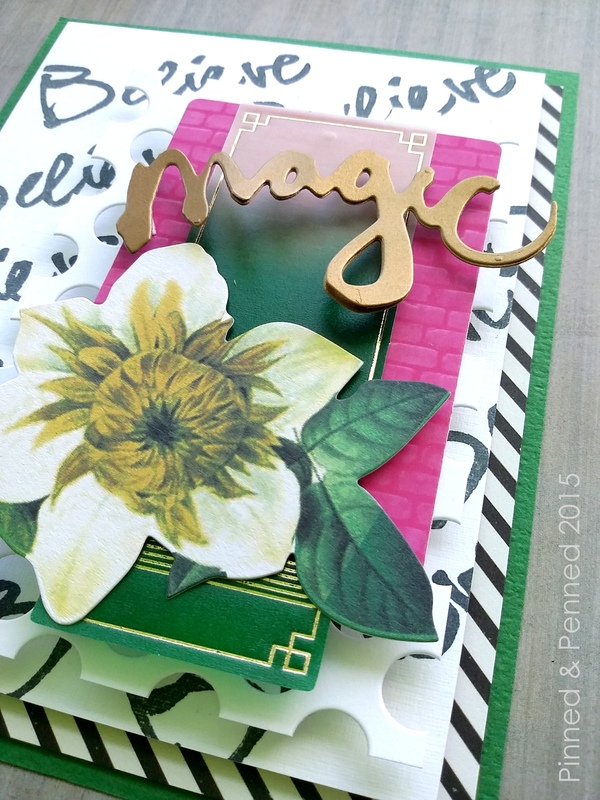 That Art Deco green and gold panel was just what I needed to bring those layers together. I spent awhile riffling through my hundreds of paper embellishments. I really like working in this way with my products as it is like creating with found art– I am confined by just the paper pieces I have and must assemble them without being able to create by hand the perfect image or embellishment to complete the piece. It’s challenging in that way–sadly I cannot find any of these vellum packs from the Open Book line anywhere– so it is really a one of a kind piece. In addition to Ellen’s challenge, I am also going to submit this to Virginia’s View current challenge which is all about dimensions and layers. You can find my work among the hundreds of entrants! 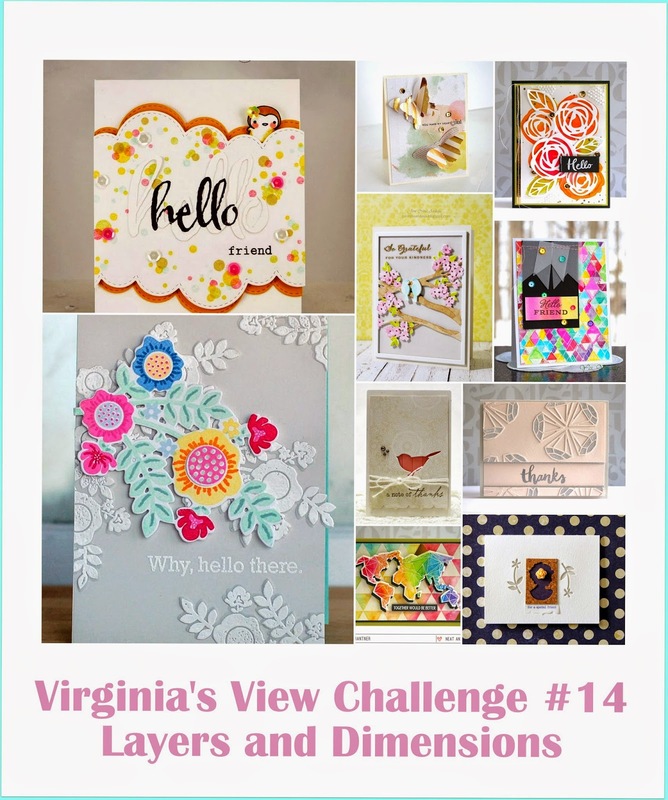 Virginia gets the prize for challenge participation, although the Coffee Loving Paper Crafters are gaining steadily!! Check out all three for some great inspiration and maybe a bit of magic! 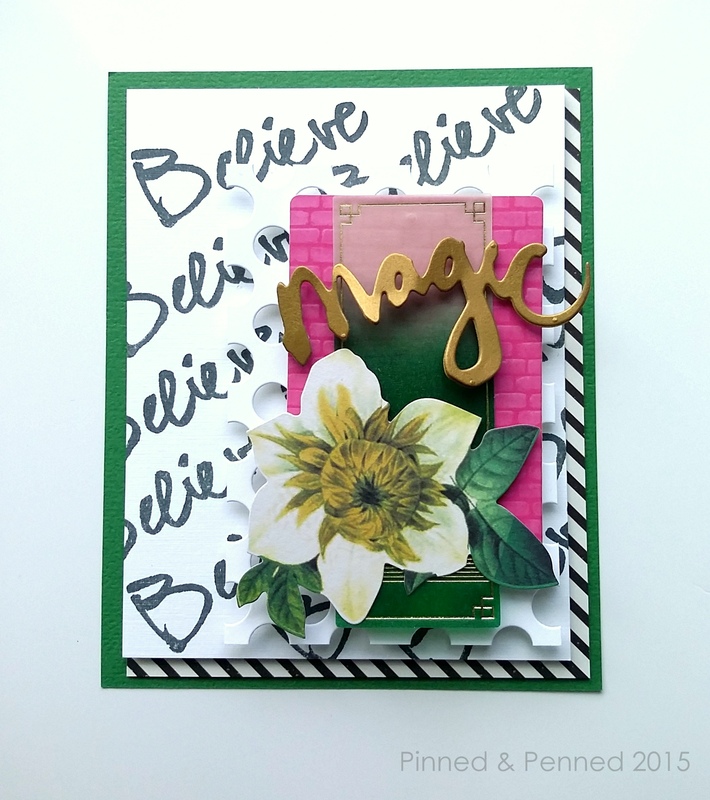 And make sure to stop by here tomorrow for a special birthday card and blog hop with prizes!! This is Oh so wonderful! It was so nice to visit and I’m looking forward to seeing your other creations very soon! This is beautiful! I LOVE all the layers and colors! LOVE this Kate!!!!!!! I have rhe NEWEST release…If you came over This SAT to Amy’s, you can use!!!!!!!!!! Lots of awesome dies!! !